Created in 2001, Casino.netbet.com is part of Cosmo Gaming and is licensed by Alderney Gambling Control Commission and the UK Gambling Commission. Catering to a multilingual European client base, it provides versions in various languages and features a simple, modern design with a dark background which enables its key features including its games catalogue to stand out. The website aims to provide its clients with fast, efficient and friendly service and ensure that their queries and complaints are resolved in a timely and satisfactory manner. Unlike most of its competitors Casino.netbet.com features games provided by lesser known software publishers including iSoft Bet and Chartwell. Casino.netbet.com’s colourful, themed games feature online, mobile and downloadable versions and examples include slots such as Love Guru, Red Dragon Wild, Rambo and Amazon Wild; Black jack variants such as Blackjack French and Blackjack Atlantic City as well as additional games including Punto Banco, Baccarat and Ninja Chef Kitchen. Variants of Poker include: Texas Hold Em, High Low and Stud Poker 3D. There is also a most popular category which clients may find helpful in deciding which games to try out. Games in this category include: Bruce Lee, Medusa, Scrolls of Ra and Where’s the Gold. Casino.netbet.com offers a Deposit Bonus of 200% of up to £200 to newcomers and all clients have to do is register, make a deposit and accept the bonus under ‘Offers available’ in the Bonus section . In addition they will also be entered into the first deposit draw with the opportunity to win exciting prizes. The casino also provides a £50 bonus for clients who have referred an individual following a deposit made by the referred client. Additional bonuses of £50 are also issued for every fifth client a registered client refers. The Alderney Gambling Control Commission which serves as the regulator for Casino.netbet.com regulates and monitors the electronic gambling activities of its licensees in order to protect clients and young and vulnerable individuals. Fans of casino games can be certain that their safety is the primary concern of the casino and that the procedures which it has established are fair and transparent. Maintaining the integrity of confidential client data and the security of transactions on its website is also another key concern of Casino.netbet.com. The virtual casino employs Websecurity Transactions which is one of the most experienced online financial transaction agents in the world as its electronic payment agent. It also makes use of the best encryption technology available ensuring that clients are protected against fraudulent transactions. Casino.netbet.com also makes use of ultra-secure servers which are protected by the latest security patches to store its information and maintained and updated by professional security experts on a regular basis. Casino.netbet.com accepts clients from the United Kingdom, Canada, Germany, Greece and Russia. The casino however, does not accept clients from the following countries: American Samoa, Bahamas, Belgium, British Antarctic Territory, Bulgaria, Canton and Enderbury Islands, Curacao, Cyprus, Estonia, France, France Polynesia, French Guiana, French Southern Territories, Guadeloupe, Guam, Hong Kong, Iran, Israel, Italy, Johnston Island, Latvia, Macau, Malta, Martinique, Mayotte, Netherlands Antilles, Northern Mariana Islands, New Caledonia, the Philippines, Pacific Islands Trust Territory, Puerto Rico, Réunion, Romania, Saint Barthélemy, Singapore, Sint Maarten, Saint Pierre and Miquelon, St. Thomas, Spain, Turkey, The United States of America, U.S. Miscellaneous Pacific Islands, U.S. Virgin Islands, United States Minor Outlying Islands, Wake Island and Wallis Futuna. Once clients have gained access to Casino.netbet.com’s members’ area they will find recommended games which can also be seen in the games section of the site and consist of the most popular games currently being played as well as the various casino, live gaming, poker, and miscellaneous categories. They will also be able to access account management features in order to ensure that they can make the required deposits if they wish to play for cash and take advantage of existing bonuses and promotions. Clients on Casino.netbet.com are permitted to process transactions using a range of payment methods which include major credit and debit cards as well as e-wallets. MasterCard and Visa are accepted as well as PayPal, Neteller, Qiwi, and Skrill. Online wire transfers are also permitted as well as bank transfers. All transactions are free of charge and the full range of methods which may be used to process payments may be found by visiting: https://help.netbet.com/en/casino/confidentiality#cont757. 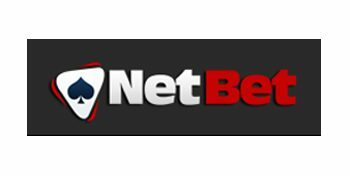 Clients who play regularly at Casino.netbet.com gain Net points by playing cash games. These points can be exchanged for tournament tickets, cash or other prizes. The amount of points earned varies with the currency used with pounds earning the highest number of points (£1 earns 30 points for cash games and 32 for tournaments) while dollars earn the lowest (£1 earns 20 points for cash games and 22 for tournaments). Clients can also ascend the 10 levels of the 10 tiered reward system with the lowest level being the Novice level and the highest being the Elite which requires the accumulation of 250 000 points. The minimum amount permitted by Casino.netbet.com for withdrawals and deposits is £20, while the maximum sum players are allowed to deposit is £1 000 for bank cards and £3 000 for wire transfers with a total monthly limit of £10 000. For Black jack the amounts are £1, £5, £10, and £100 for minimum bets while maximum bet limits are £5, £25, £50, £500. The minimum bet amount for video poker and slots is 2p while the maximum bet amount is £2 for both games. Casino.netbet.com’s customer care staff can be reached by telephone at any hour of the day and any time of the week. Queries and complaints may alternatively be forwarded by mail or email. Although a number of customers have cited positive experiences on Casino.netbet.com a significant number have complained about payment issues and a large number of unresolved complaints. There have however been positive reviews for jackpots and slot machine games although its use of software providers who are not well known within the gambling sector has drawn scepticism from certain quarters. Casino.netbet.com is a virtual casino that caters to clients from Europe and as a result provides versions in English, French, Dutch, Spanish, Italian, German, Greek and Russian. It is owned by Cosmo Gaming and licensed by the Lotteries & Gaming Authority LGA. The principal currencies used for processing payments are the pound, the dollar and the euro. The site features a sombre, modern background which is easy to navigate and which provides customers with a wealth of useful information enabling them to settle down and enjoy their experience on the virtual casino in no time at all.